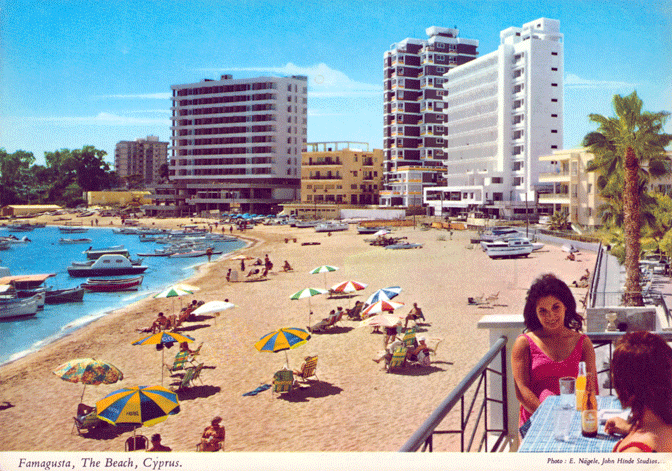 In the 1970s, the new town of Famagusta was one of the most popular tourist resorts in the whole world. 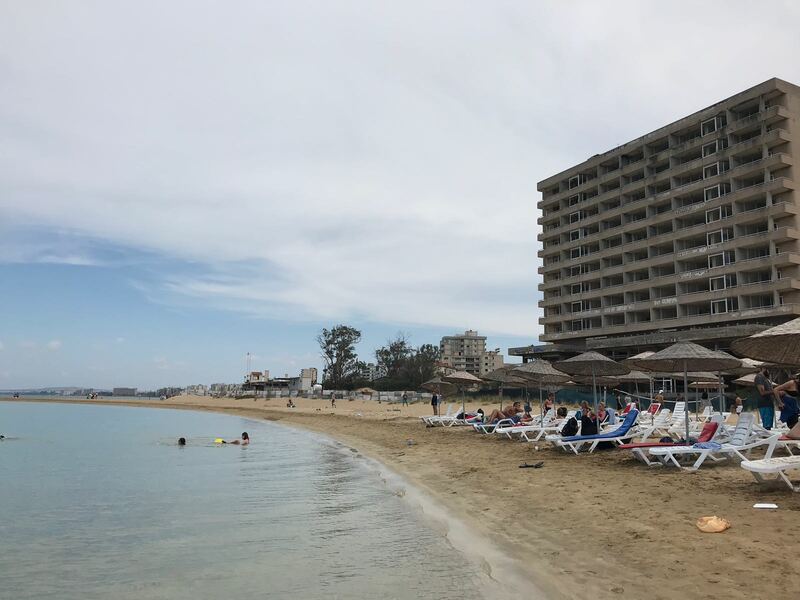 The flashy high rise hotels lined up along the sandy beaches on the east coast of Cyprus were flooded with tourists all year round, as well as stars like Brigitte Bardot and Paul Newman, attracted by the turquoise seas, balmy sunshine and idyllic lifestyle. All that changed in the summer of 1974, after a military coup inspired by the military junta of Greece provoked the Turkish army to invade Cyprus, landing in Kyrenia on the north coast and quickly spreading southwards. 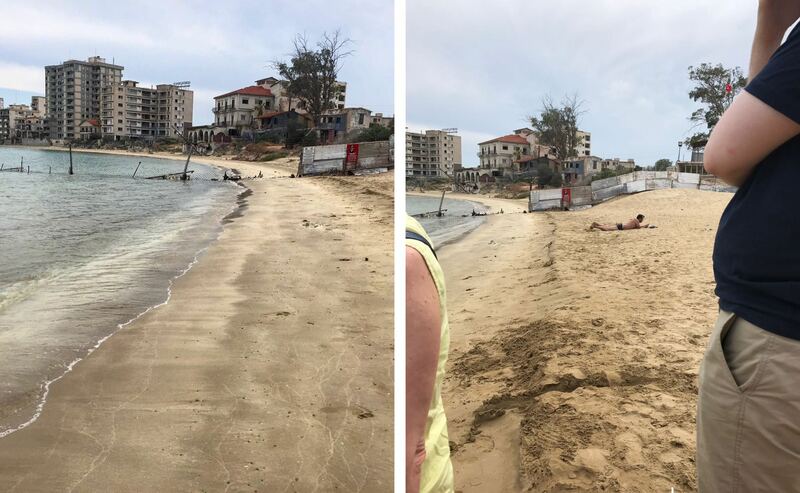 The population of Famagusta was evacuated and tourists and locals alike fled, often with nothing but the clothes on their backs. The Turkish army gained control of the town (and the whole north of the country) and fenced it off, but even then many locals thought they would be able to return before long, certain that the international community would not stand by and let them be banished from their hometown. But then days turned into weeks, months and years. The first glimpse of Varosha from the Palm Beach car park. 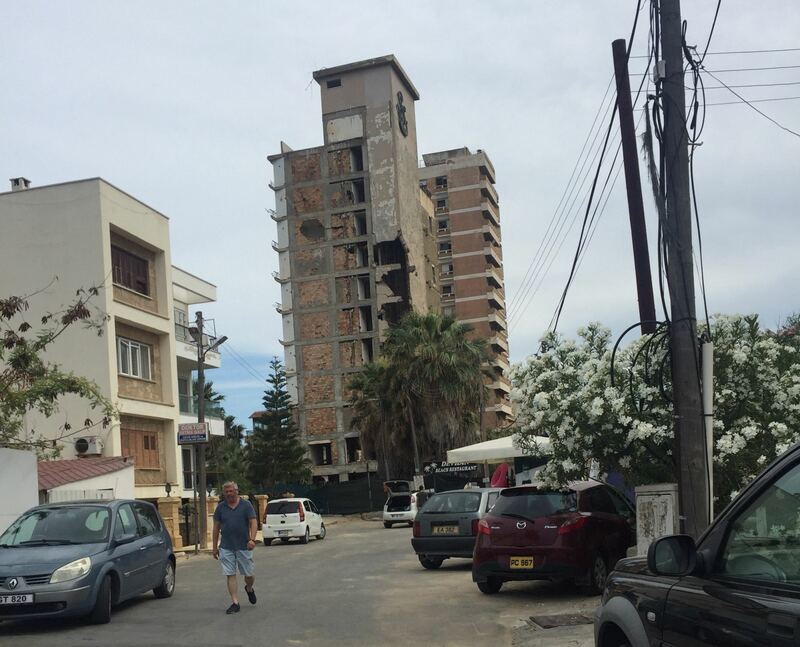 Ten years later, the UN demanded that Turkey release the resort town, now known as Varosha, so that people could return to their homes. 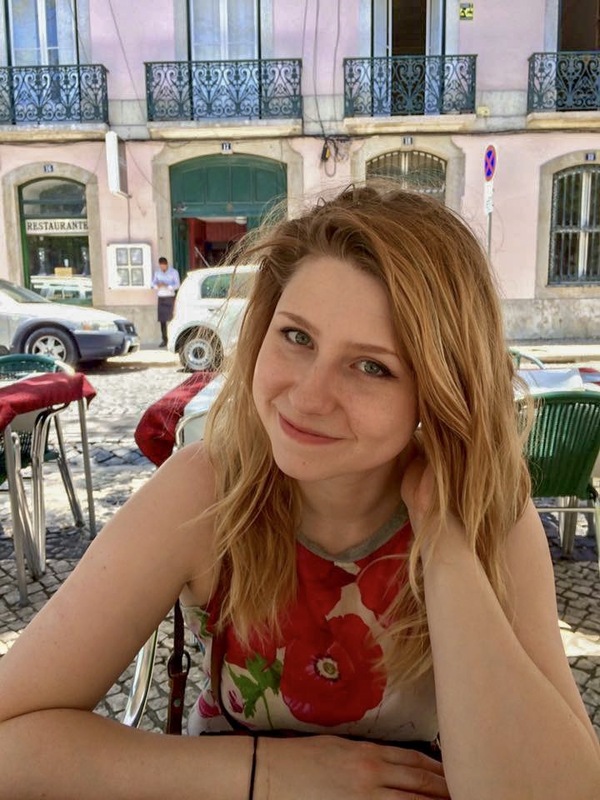 Turkey refused, and to this day keeps Varosha under tight military surveillance, with twisted barbed wire and corrugated iron fencing patrolled by heavily armed guards, and sign posted with threatening messages warning against trespassing, filming or photography. Left: The border fence goes all the way into the sea. Right: A local chooses an interesting spot to relax. The hotels and houses behind the fence stand empty and decaying, glass windows shattered, gaping holes exposing lift shafts and cables. This towering graveyard is a bleak reminder of what divided Cyprus not that long ago, tearing both Greek and Turkish Cypriots alike from their homes and communities. White plastic loungers of Palm Beach in the shadow of bombed out hotels. 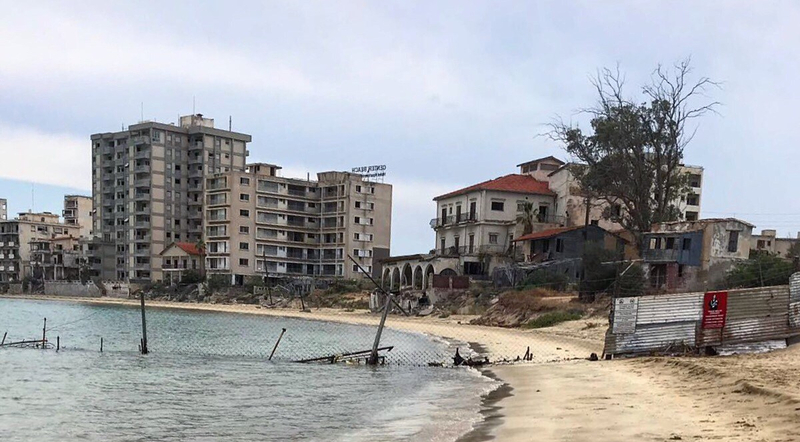 Today you can drive from the old walled city of Famagusta on the north of the border, to Palm Beach on the edge of Varosha. Arkın Palm Beach on the edge of the sands still functions normally as a hotel, and its fresh white and bright blue facade only serves to contrast more with the shells of former hotels only yards away on the other side of the fence. 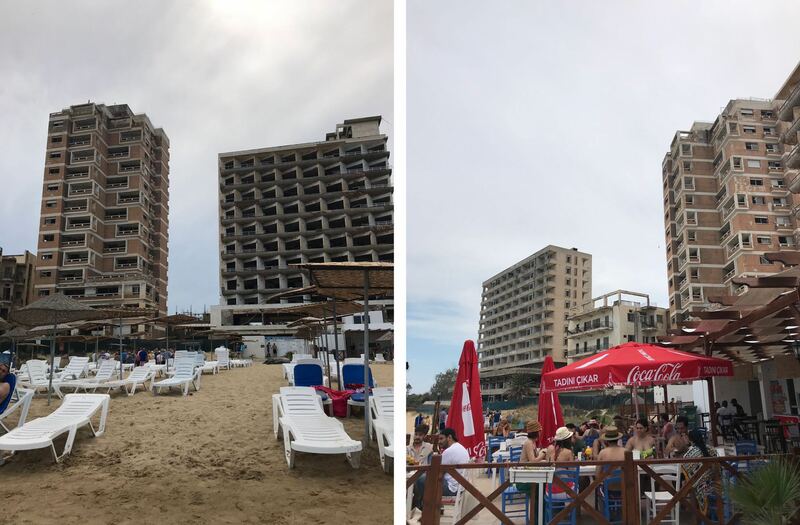 Left:Shells of former hotels. Right: Bright awnings at Devran Beach Restaurant. 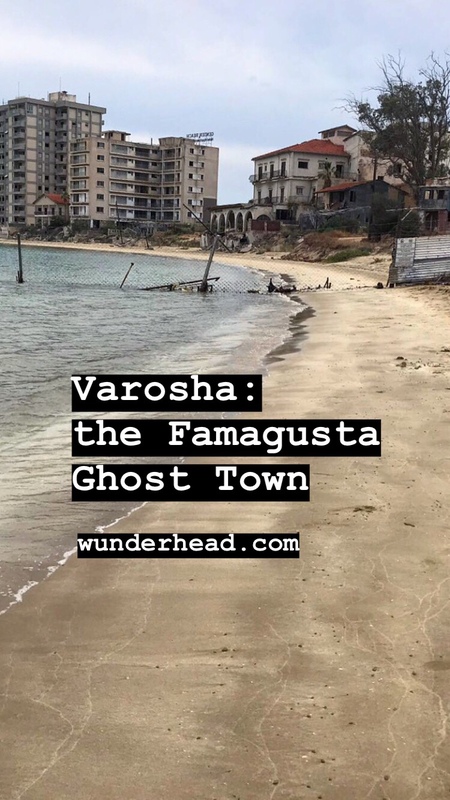 When we arrived at Palm Beach the Tukish army and UN soldiers were not helpfully handing out pamphlets about the history of Varosha, so I had to look elsewhere to learn about it. Victoria Hislop’s book The Sunrise is a great place to start if you want to really feel the emotional weight of it all, as well as this true story that I quoted in the intro, or you can turn to this quick article if you want the bullet point option. You can also get a 360 view from a few points on Palm Beach in Google street view, including from the fence by the sea and from the loungers.